Full Description: A postcard dating from around 1900 of Mark Sanders. 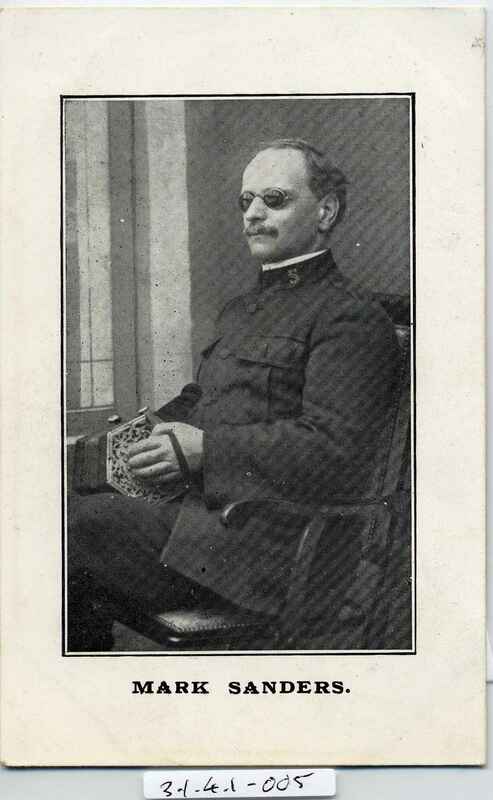 Blind from birth, Mark Sanders was converted at Exeter Corps. 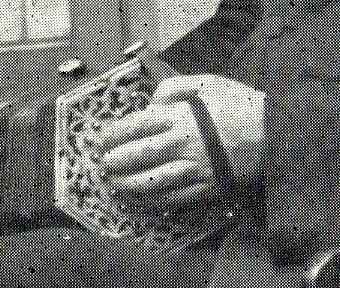 It was Colonel Payne who secured a concertina for Mark, on which he soon acquired considerable skill. For a number of years he travelled as an Army Special, visiting many Corps throughout Great Britain. He entered the ranks of Salvation Army song writers in 1886 when, at Richard Slater's suggestion, he wrote the now well-known song,'I Have Read of Men of Faith'This postcard dates from around 1900.